On March 25, 2019, JITCO received a visit from the Cambodian Minister of Labour and Vocational Training, Ith Samheng. JITCO expressed its gratitude for the visit and stated that the increase in the number of Cambodian technical intern trainees has greatly contributed to the deepening of the relationship between Japan and Cambodia. 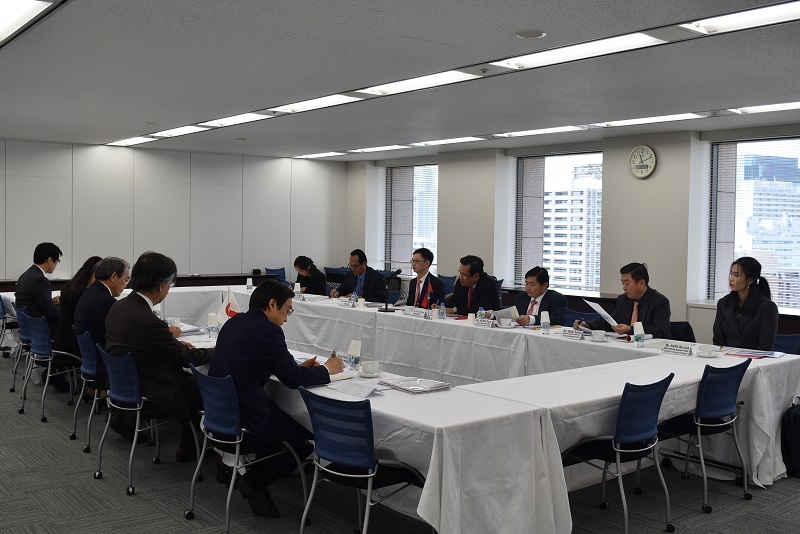 Furthermore, JITCO explained that, as a general support organization, it will continue to work with the governments of sending countries and provide support to sending organizations in order to promote utilization of specified skilled workers in addition to the Technical Intern Training Program and ensure smooth operation. 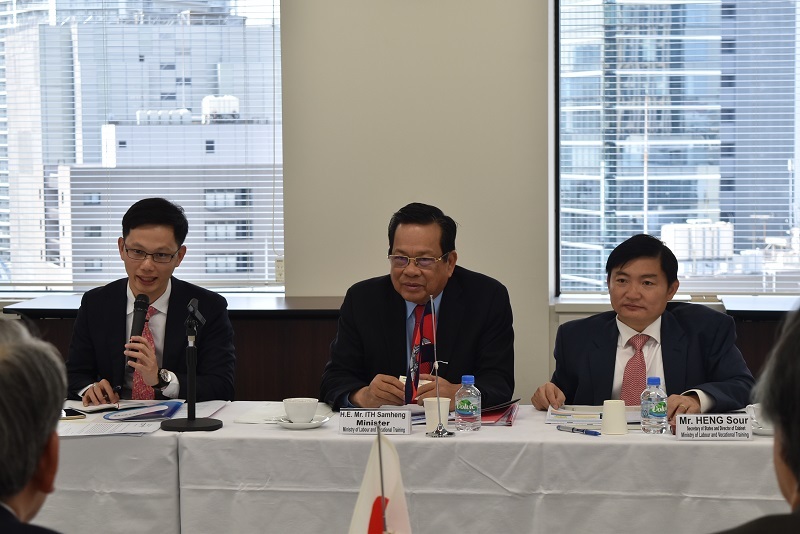 The Cambodian representative expressed his gratitude for JITCO’s past support for sending technical intern trainees to Japan, and stated that he looked forward to JITCO’s continued support. In addition, with regard to the “specified skilled worker” status of residence, on March 25, the Cambodian Ministry of Labour and Vocational Training concluded the Basic Partnership Framework for Proper Operation of the System Pertaining to Foreign Human Resources with the Status of Residence of “Specified Skilled Worker” (MOC) with the Japanese government, making Cambodia the second country to do so after the Philippines. This MOC establishes a basic framework to ensure the smooth and appropriate sending and receiving of foreigners with specified skills (and in particular, the elimination of ill-intentioned agencies) and share information and cooperate to solve issues, etc., of foreigners with specified skills relating to working in Japan.